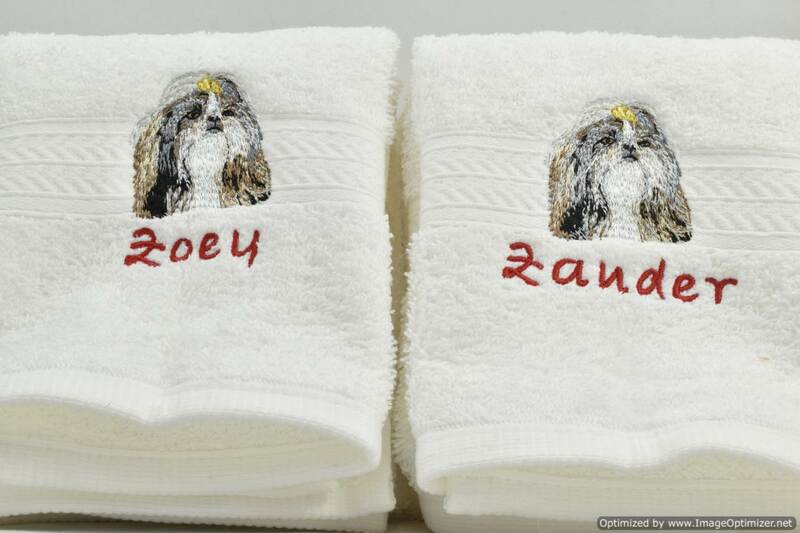 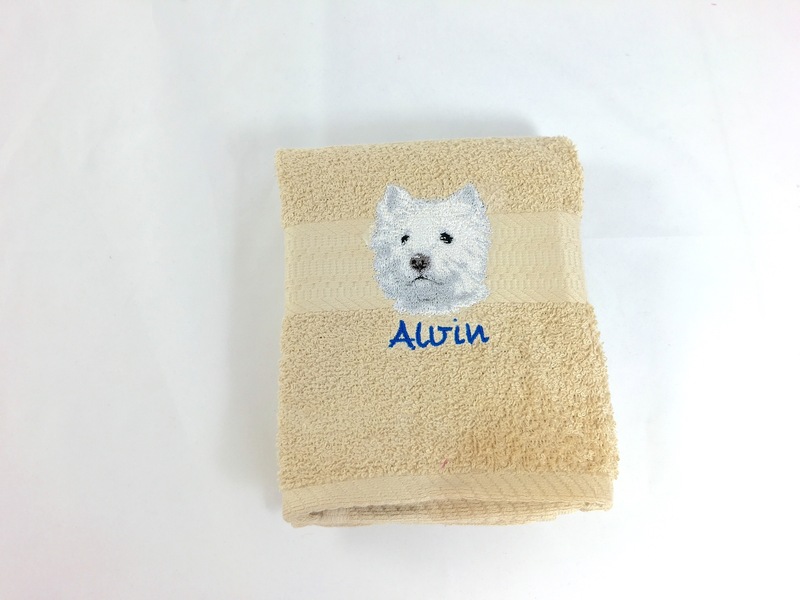 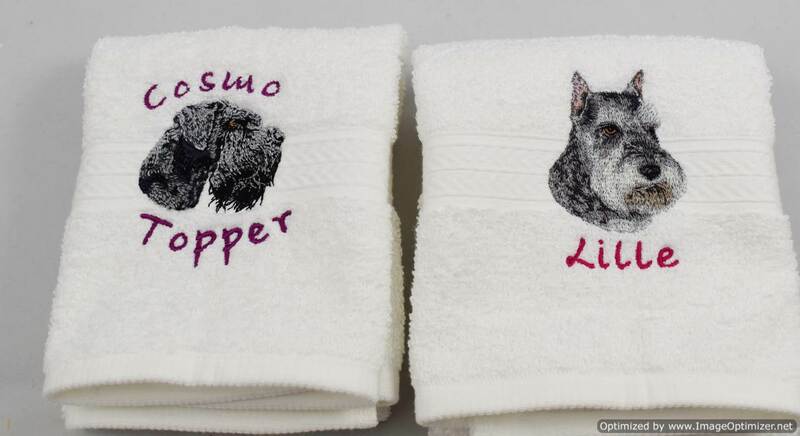 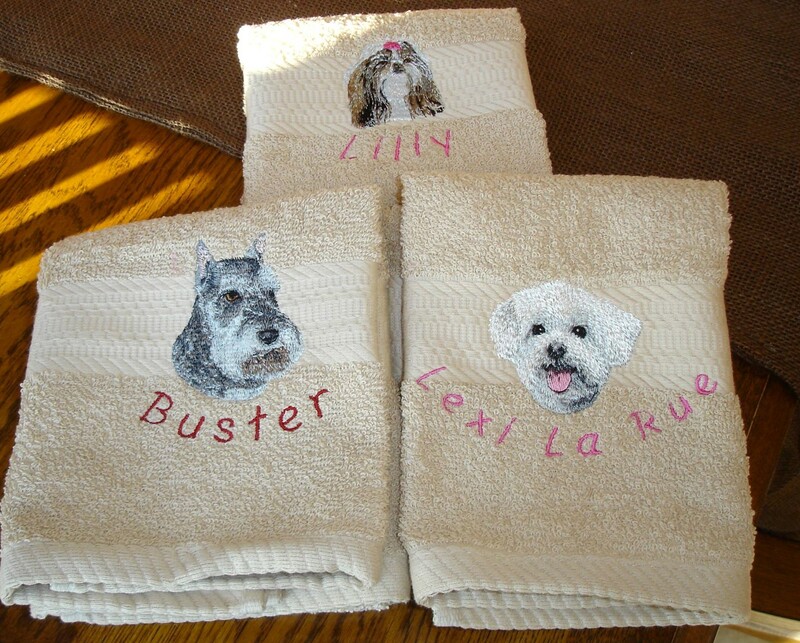 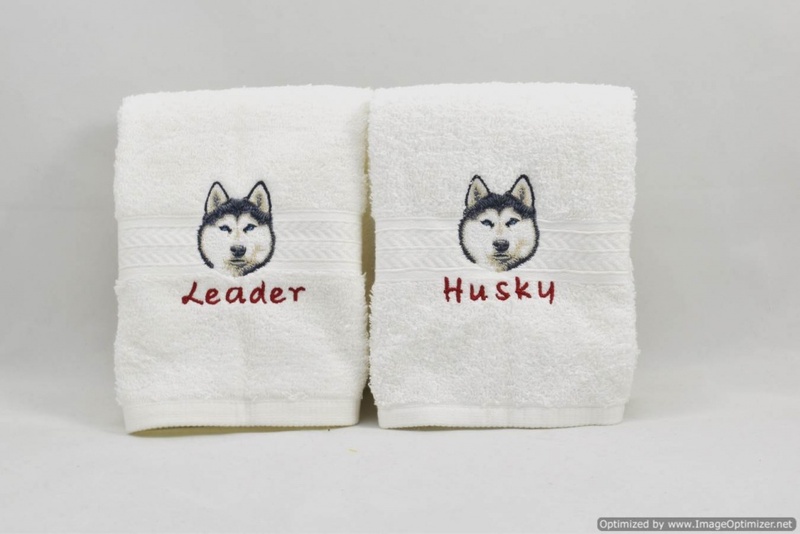 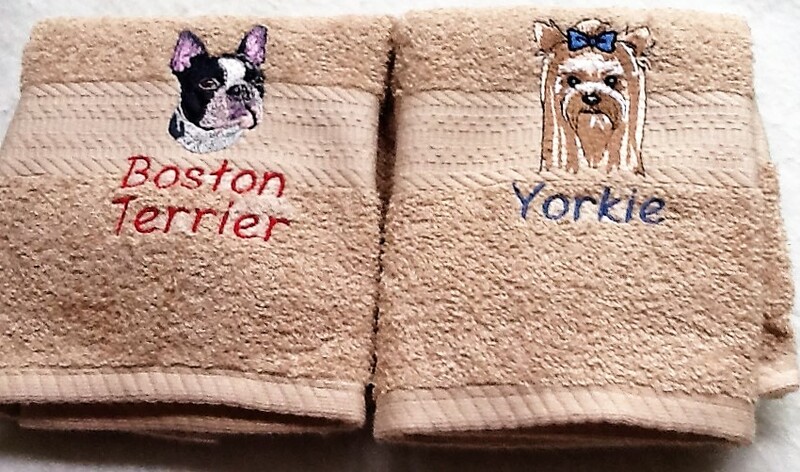 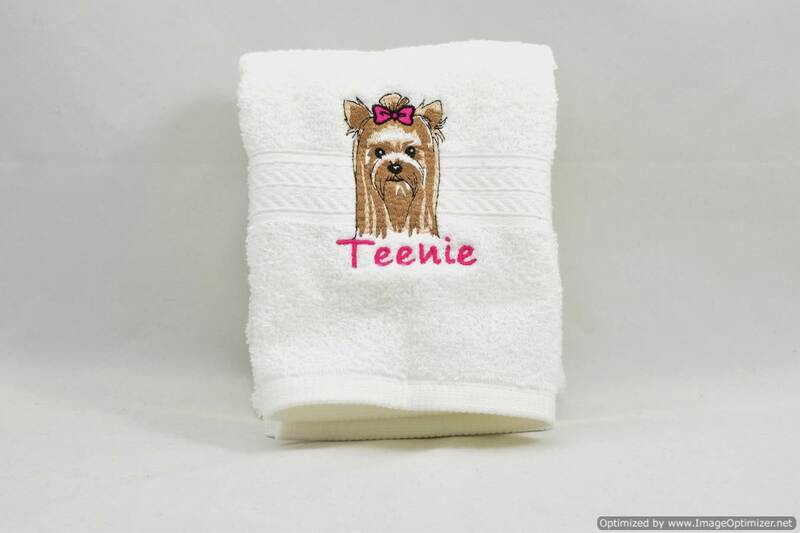 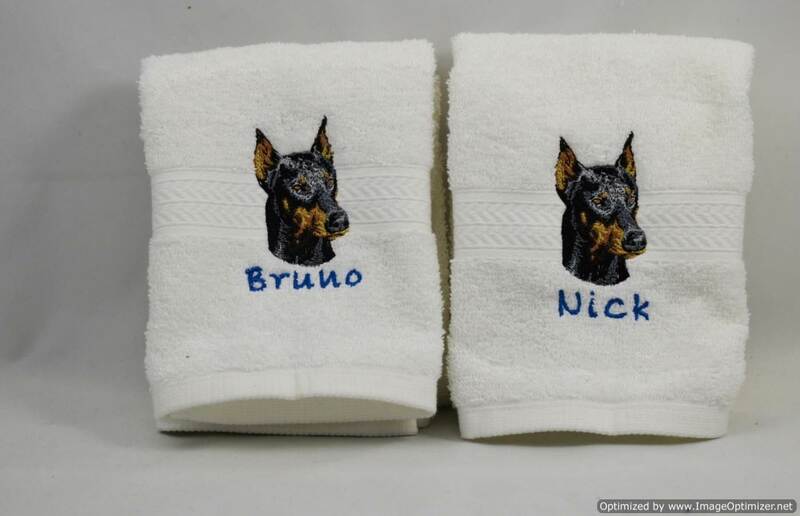 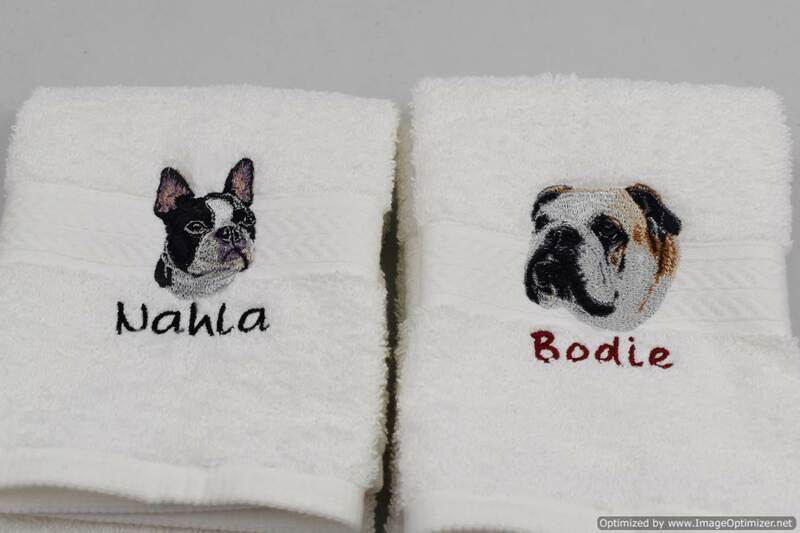 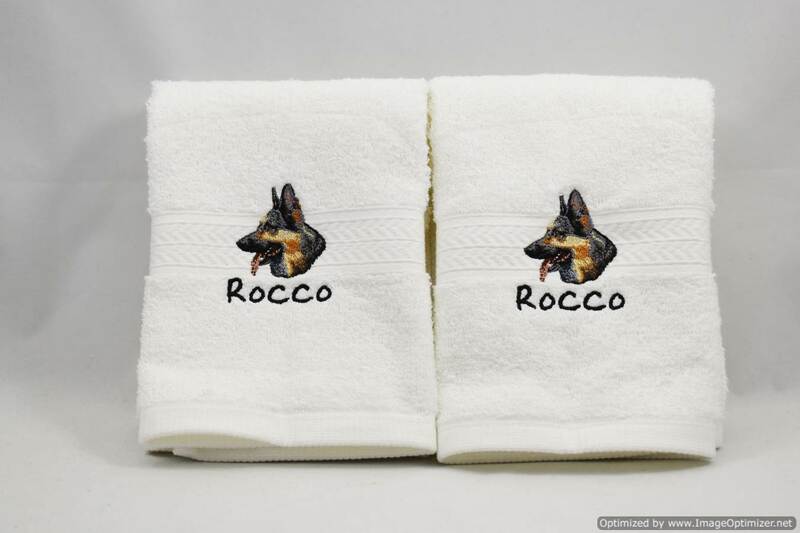 Personalized, Unique Dog Breed Hand Towels. 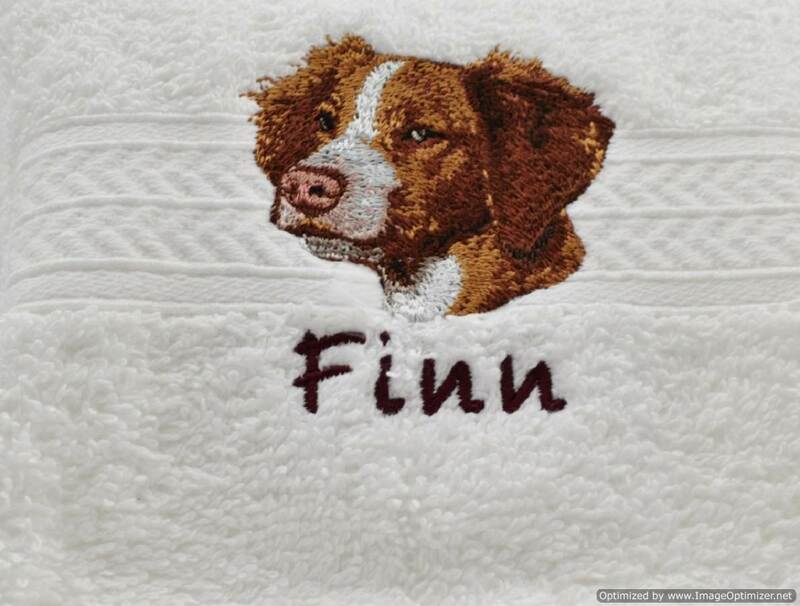 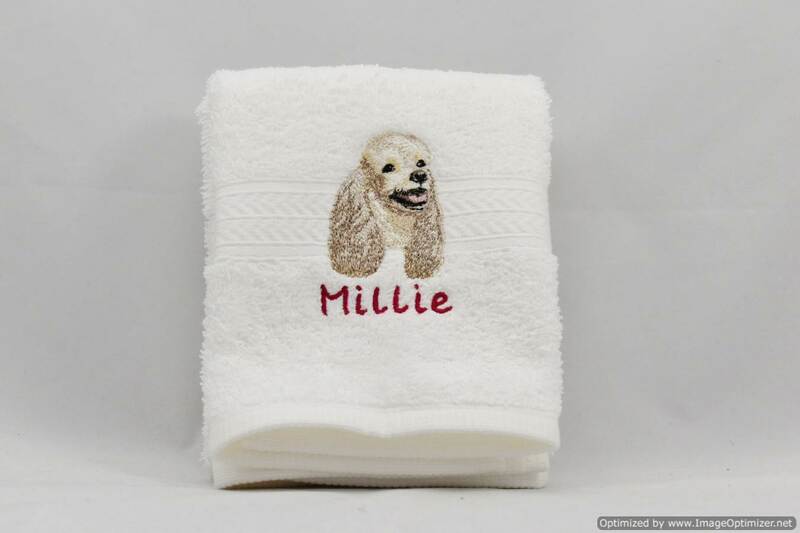 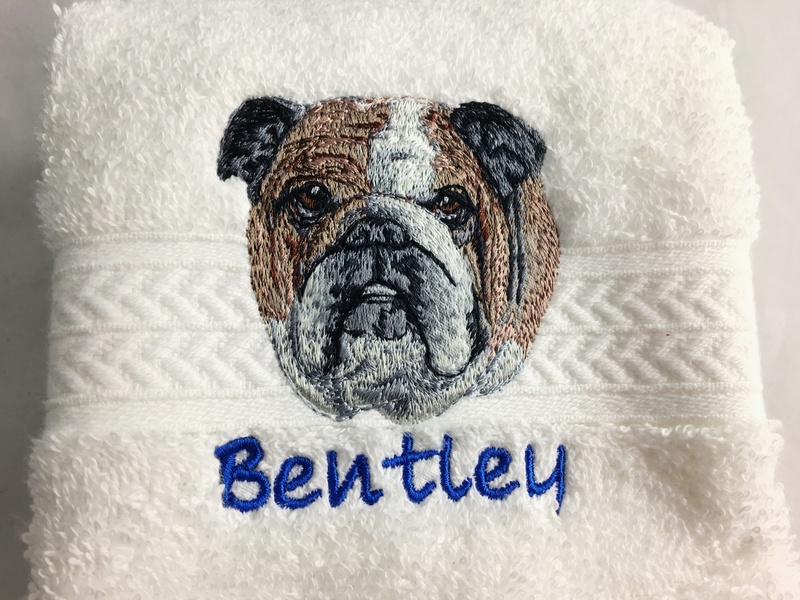 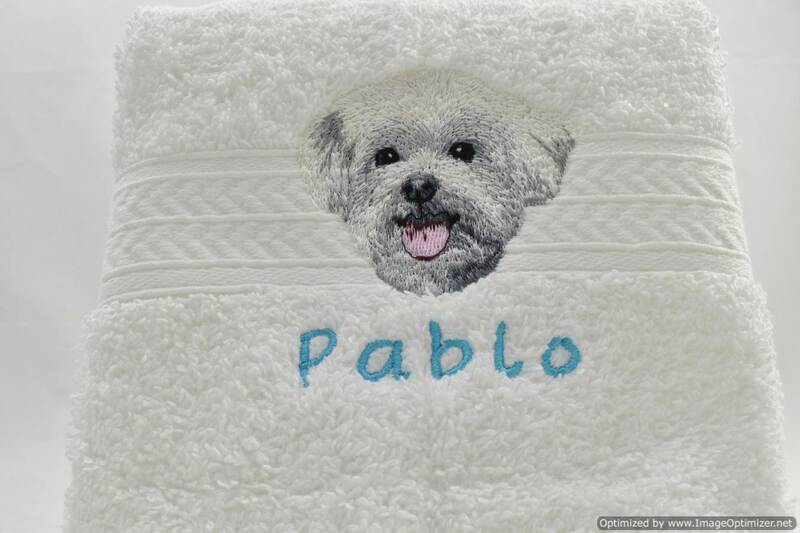 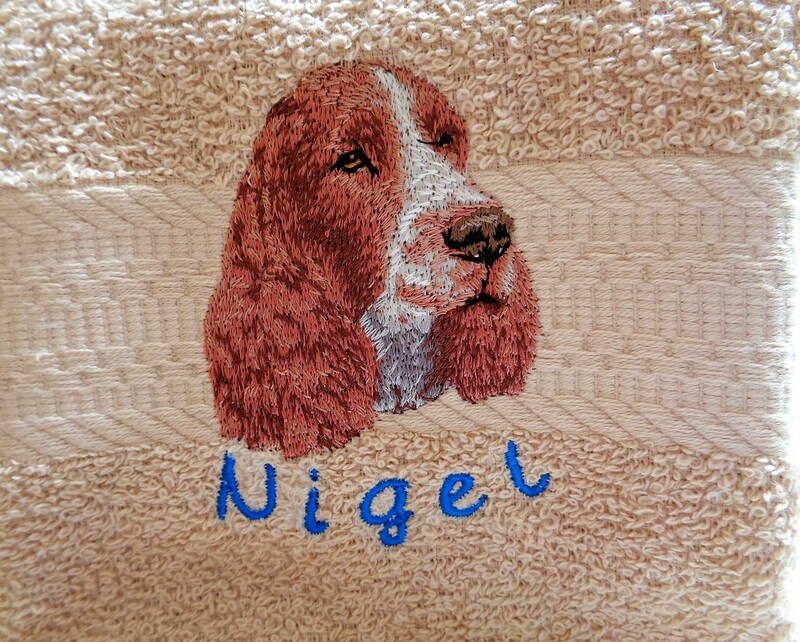 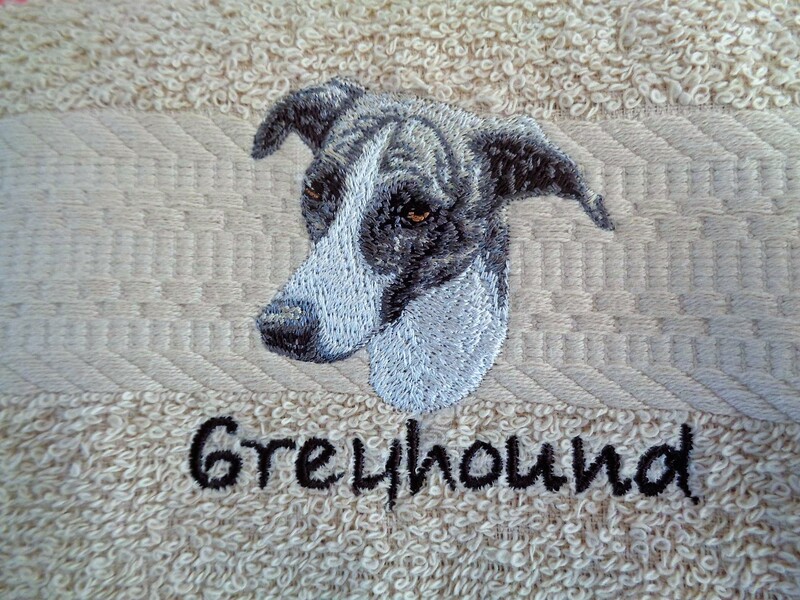 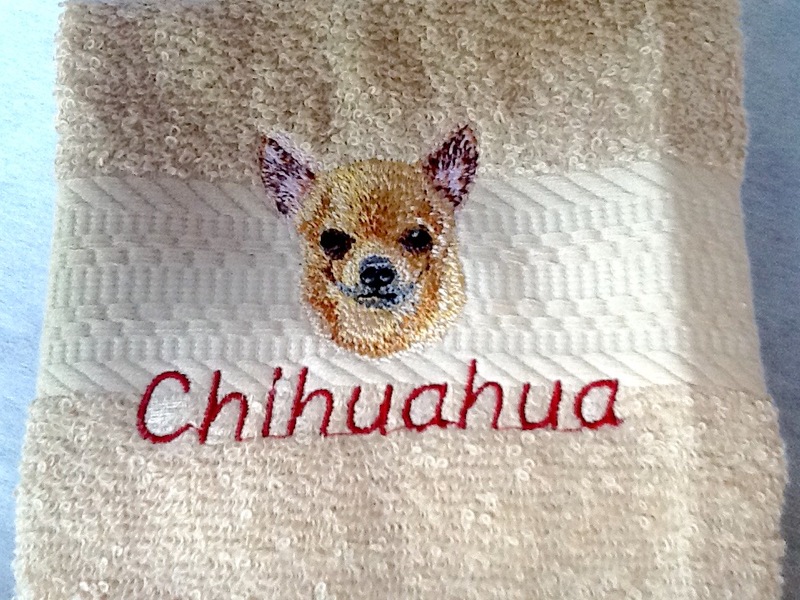 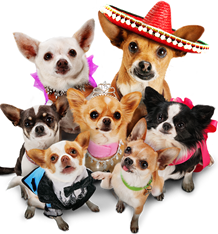 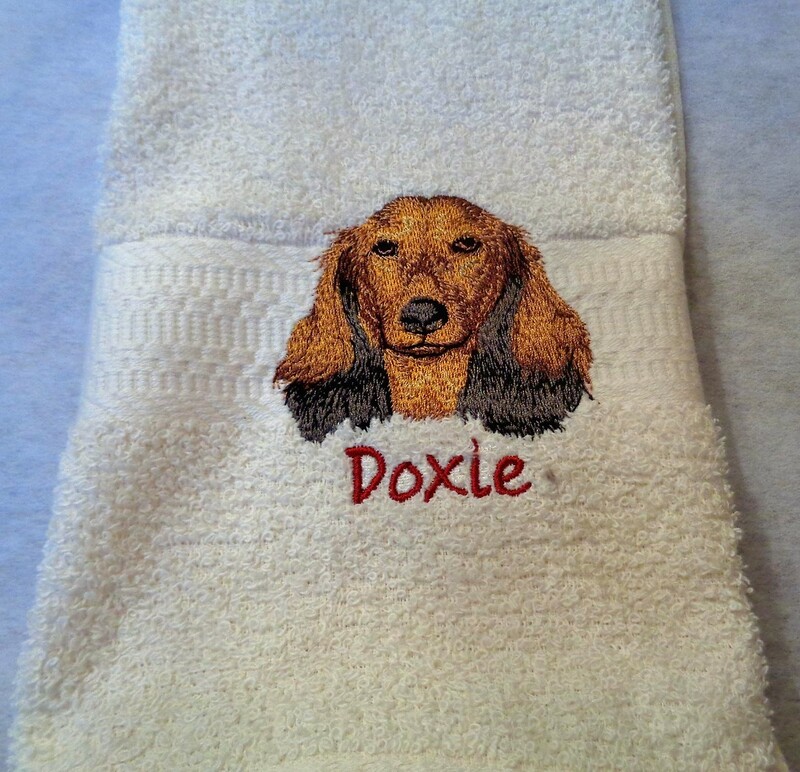 Your favorite dog breed embroidered image on a quality cotton hand towel. 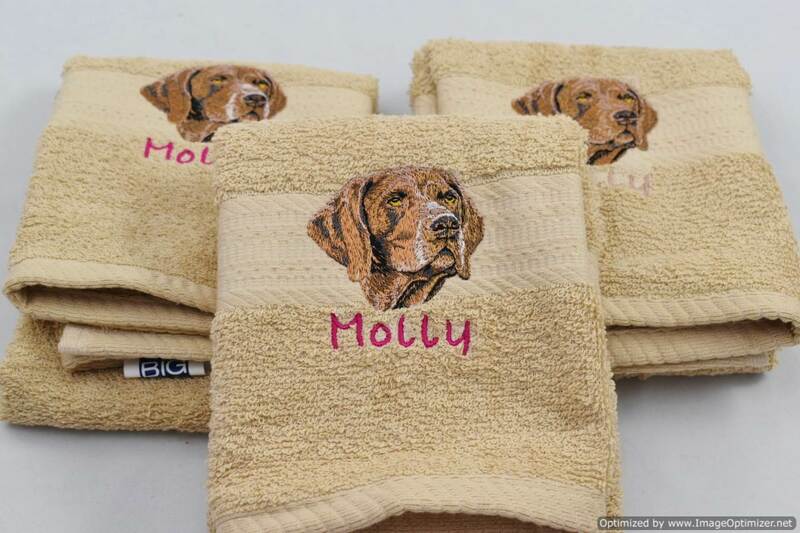 Your Pet's name is added to the design FREE for a very personal touch or you may order the Breed Name if you prefer. 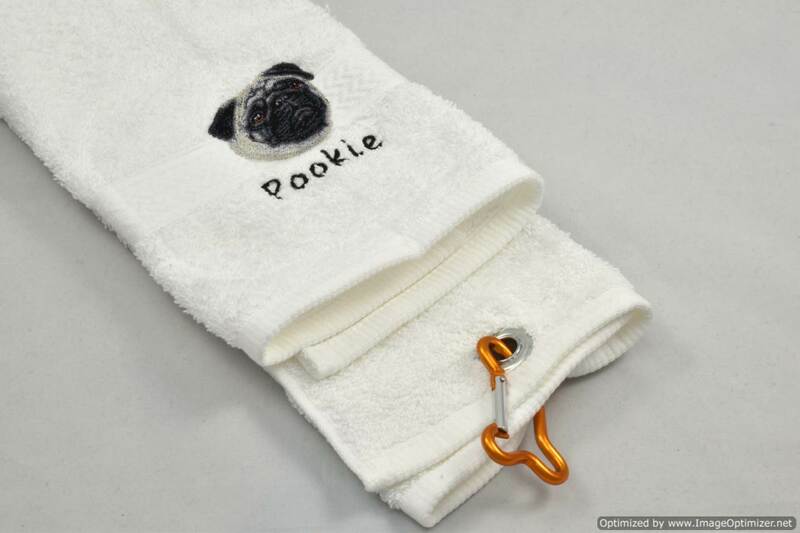 A very unique pet dog gift for dog lovers. 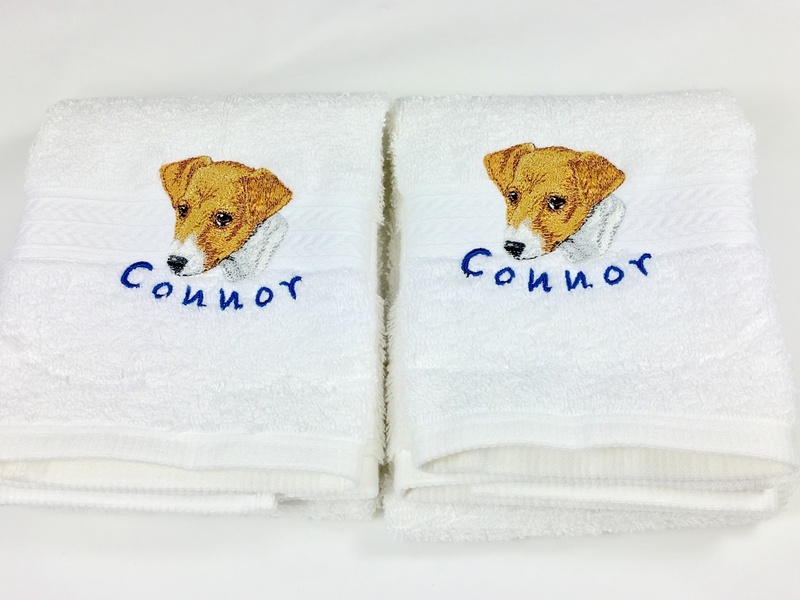 These Breed hand towels are our Signature Best Seller Pet Gifts. 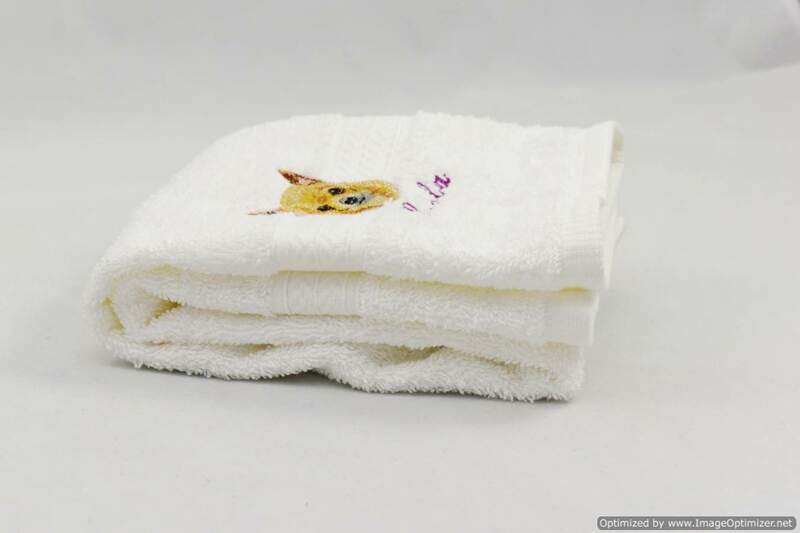 Many buy several at at a time for themselves, their friends and loved ones. 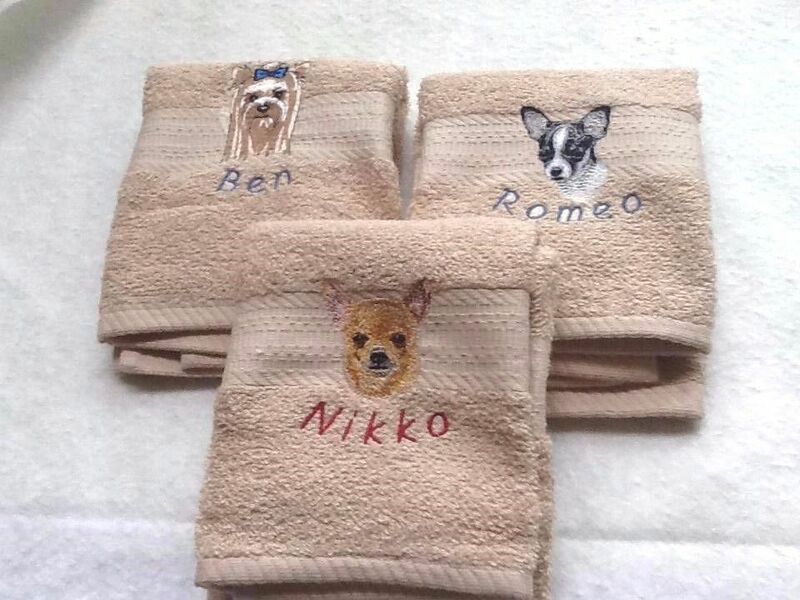 These popular towels make excellent Christmas and Holiday gifts and stocking stuffers for dog, cat and pet horse lover gifts, birthday gifts for bosses, friends and families and fund raisers for dog and cat rescue. 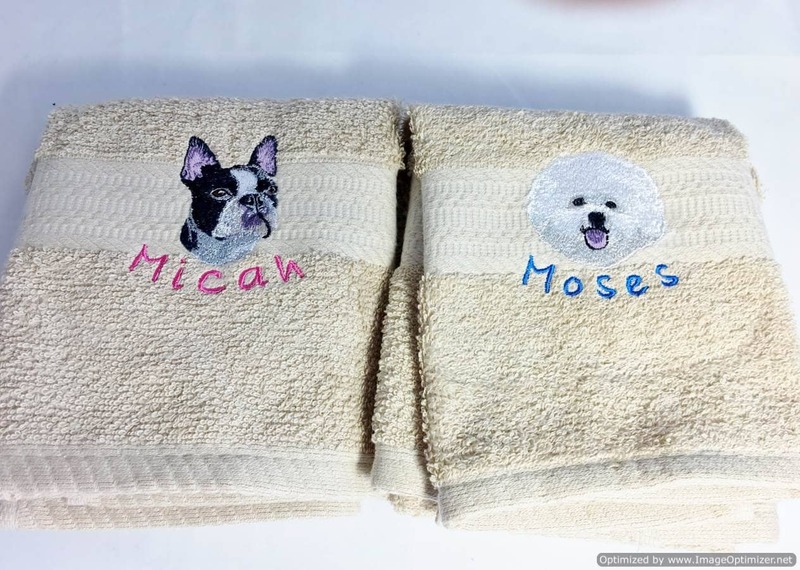 This pet towel makes a wonderful memorial for an dog that has passed where you can order the birth, passing date and the pet’s name. 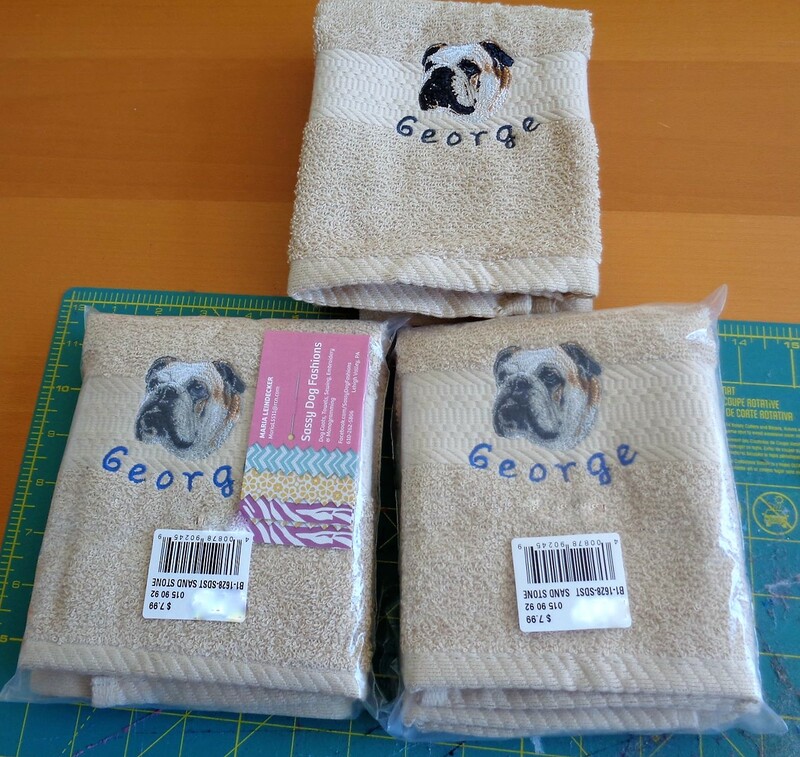 Many order sets for couples. 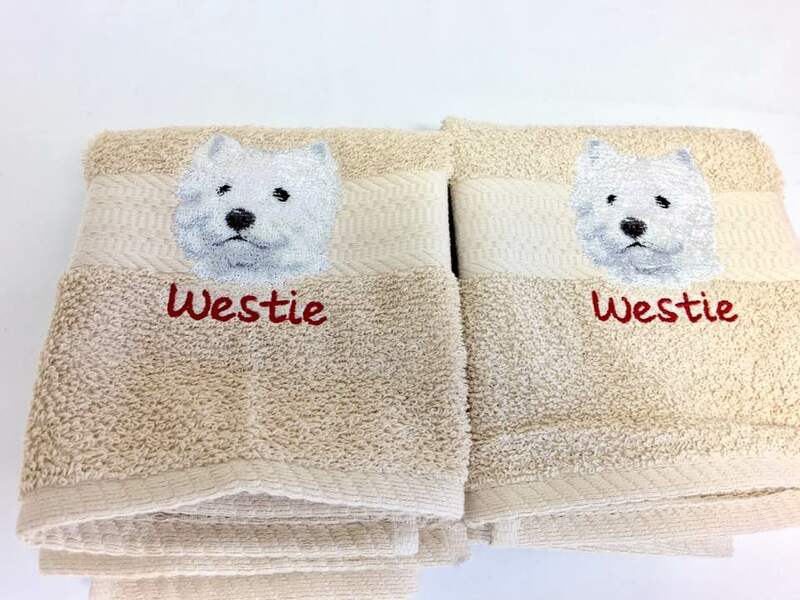 These novelty dog gift towels can be used anywhere a drying towel is needed or even at the door for wet paws during rain and snowstorms. 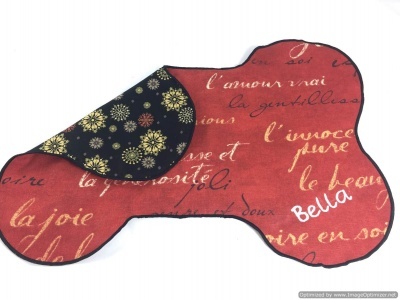 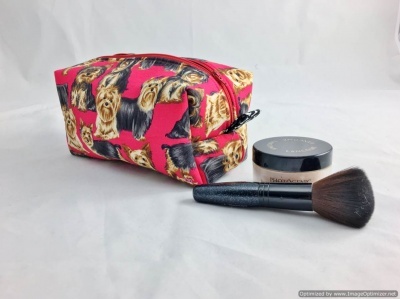 Great for RV’s, and vehicles, too! 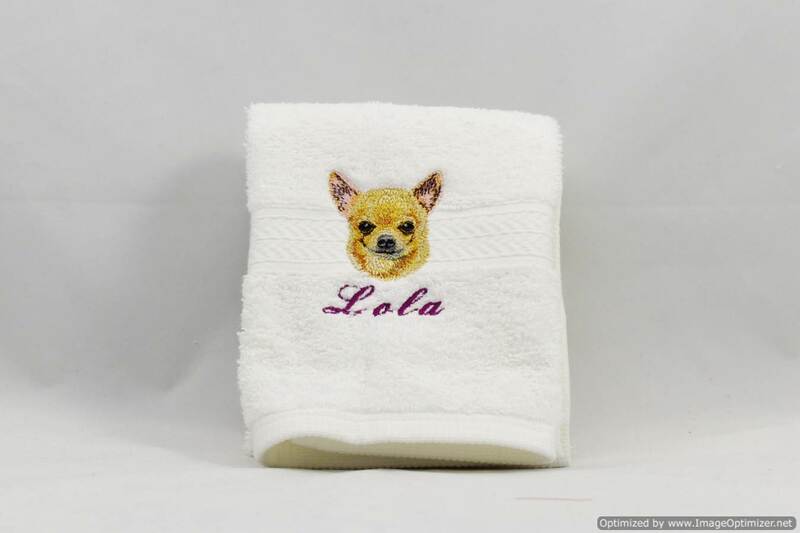 AWARD WINNING 3-D Photo Quality dog breed image on your hand towel. 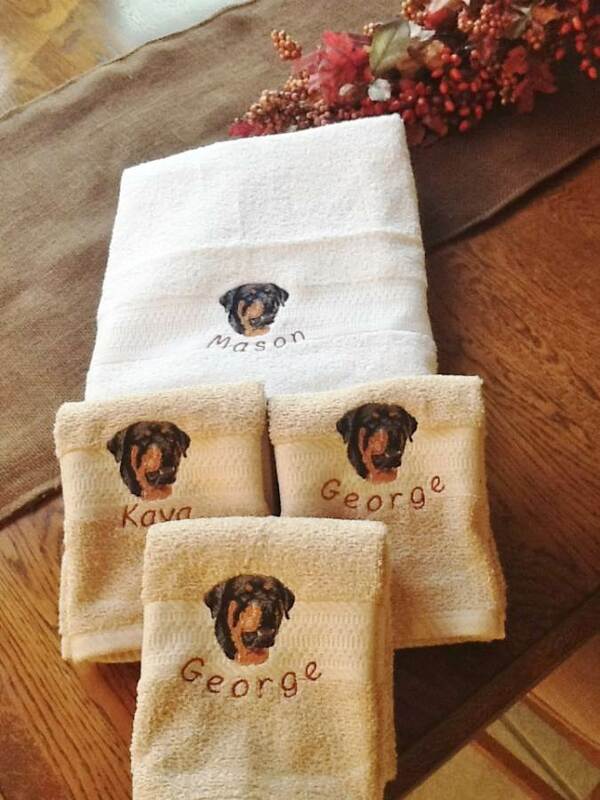 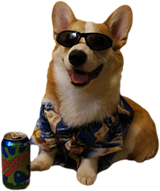 PERSONALIZE IT with your dog’s name or keep it generic with the breed name. 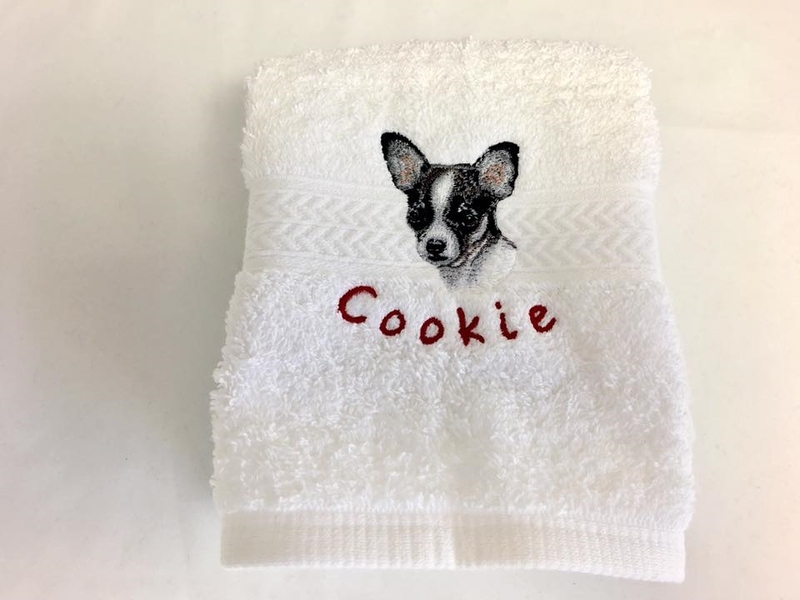 Thread color for name will be chosen for you unless noted at Checkout. 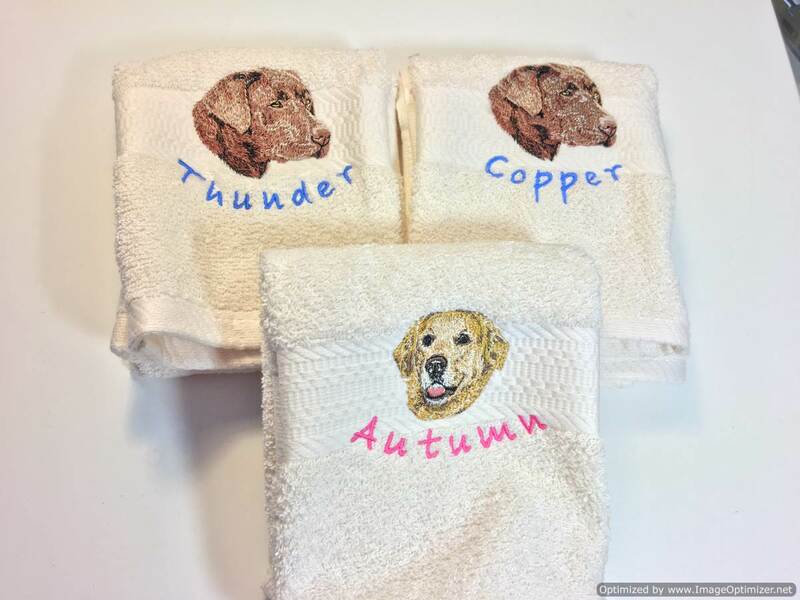 Normally female names receive pink embroidery thread and male names receive blue embroidery thread. 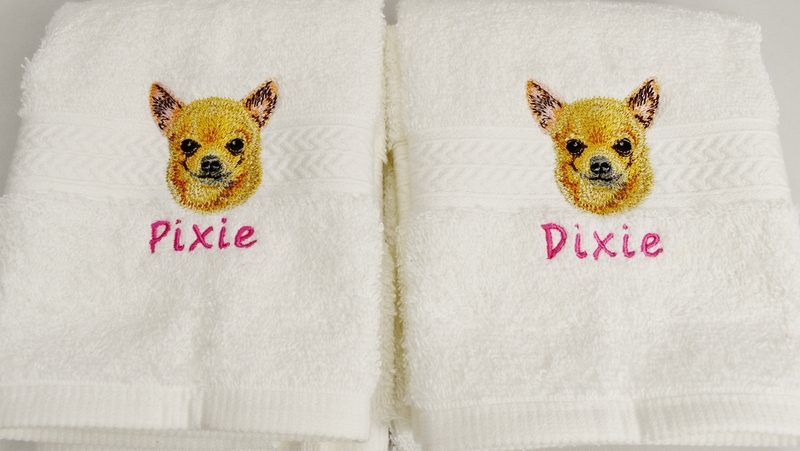 Designs are embroidered onto a luxurious plush WHITE cotton towel. 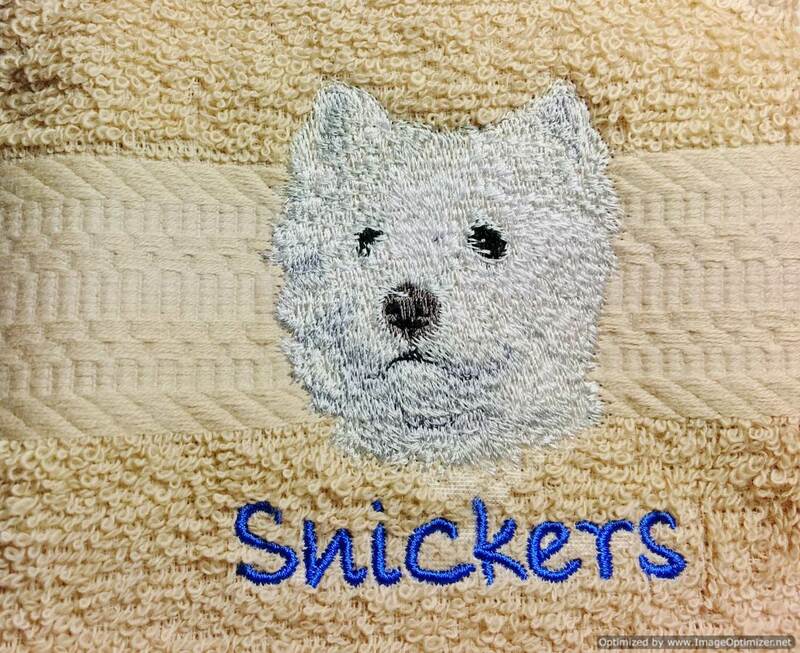 You may request beige in the notes at checkout. 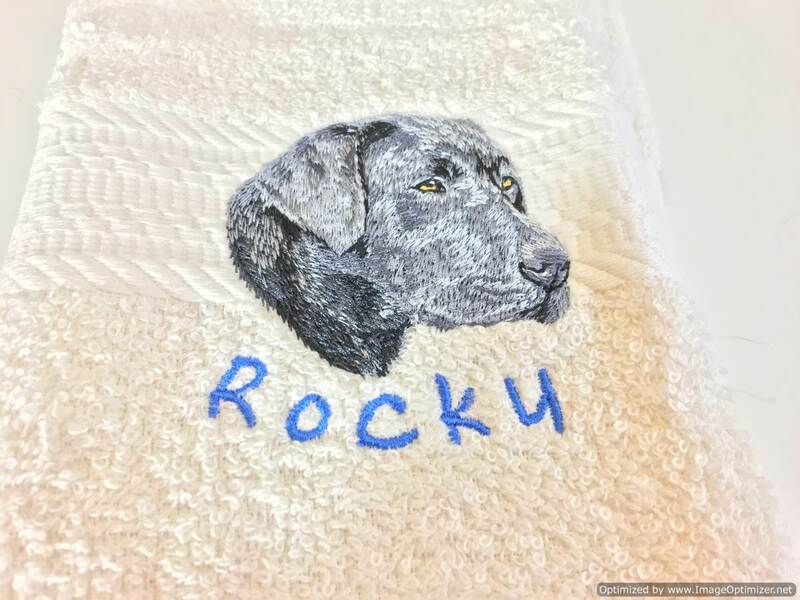 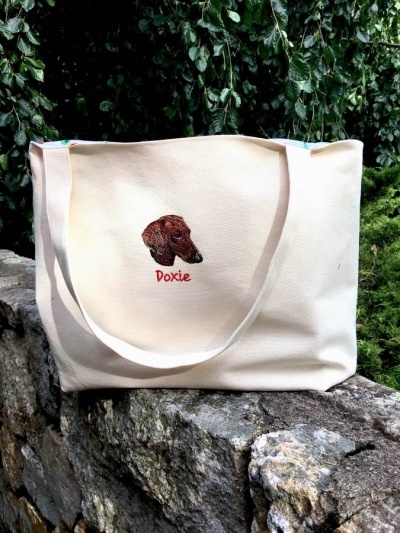 This handmade pet novelty product is customized (personalized) and is not returnable because we cannot resell it once it has your pet’s name so make sure you proofread the animal’s name.